Kuttab and Arab Literacy Tradition - In the history of Islamic education in the age of Prophet Muhammad, there was one educational institution called Kuttab. In terms of language, kuttab comes from term "taktib", which means teaching for writing. From here it has been seen, that kuttab is one of the educational institutions that teaching literacy. Based on historical records, kuttab has existed since pre-Islamic Arab era. Kuttab is a basic education institution that was born first time since Islam has not been born in the Arab world. This means that, before Islam arrived, Arab nation especially those living in Mecca had known the Kuttab as an educational institution. However, at that time Kuttab had not been able to attract the interest and attention of the wider community to study at this institution. When Islam was born in Mecca, only Meccan people who were able to read and write were only 17 people, while in Medina there were only about 11 people. After Islam was born and developed among Arab society, kuttab gradually grew and developed rapidly when compared to the pre-Islamic Arab period. Furthermore, kuttab became one of the earliest Islamic educational institutions besides mosques. Although it has been touched by the arrival of Islam, Kuttab has not experienced significant changes in terms of its function and existence as an educational institution that focuses on reading and writing learning. based on its type and function as an educational institution, the kuttab can be divided in two parts, first, kuttab as an educational institution that teaches literacy skills with subjects in the form of proverbs and basic texts of Arabic poems which substantially contain good values. Second, kuttab is a place to teach the Al-Qur'an and the basics of Islamic religion. If the first type of teacher's kuttab came from non-Muslims, the second type of teacher came from Muslims themselves who were experts in reading and memorizing Al-Qur'an. The second Kuttab is advanced level of the first kuttab. So, after a person learns and has the ability to read and write in the first kuttab, then it continues to the second kuttab where there is taught the Al-Qur'an, the basics of Islamic teachings, Arabic grammar, and arithmetic. From the historical facts above, kuttab is an educational institution in the classical Islamic era which contributed greatly to the development of literacy culture among Muslims, especially the Arab nation. Awareness of the importance of basic literacy in the form of reading and writing skills gave birth to kuttab as an educational institution that focuses on it. 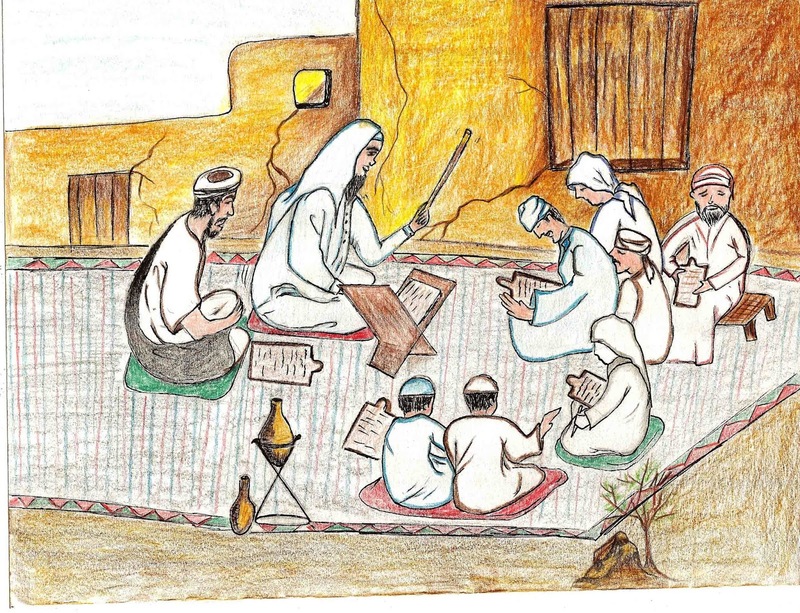 As a result, with literacy capabilities that developed rapidly among Muslims, a variety of scientific works were born from Muslims in various fields. Reference: Samsul Nizar, history and upheaval of Islamic education ideas: middle eastern portraits of the early era and Indonesia, Ciputat: Quantum Teaching, 2005.